Grab your Discounted Gun Alarm Clock while the store LAUNCH DISCOUNT is on. Once we reach 300-unit sales, we will be increasing the price back up to $27.90. This is absolutely a great gift! Start the day with a BANG! 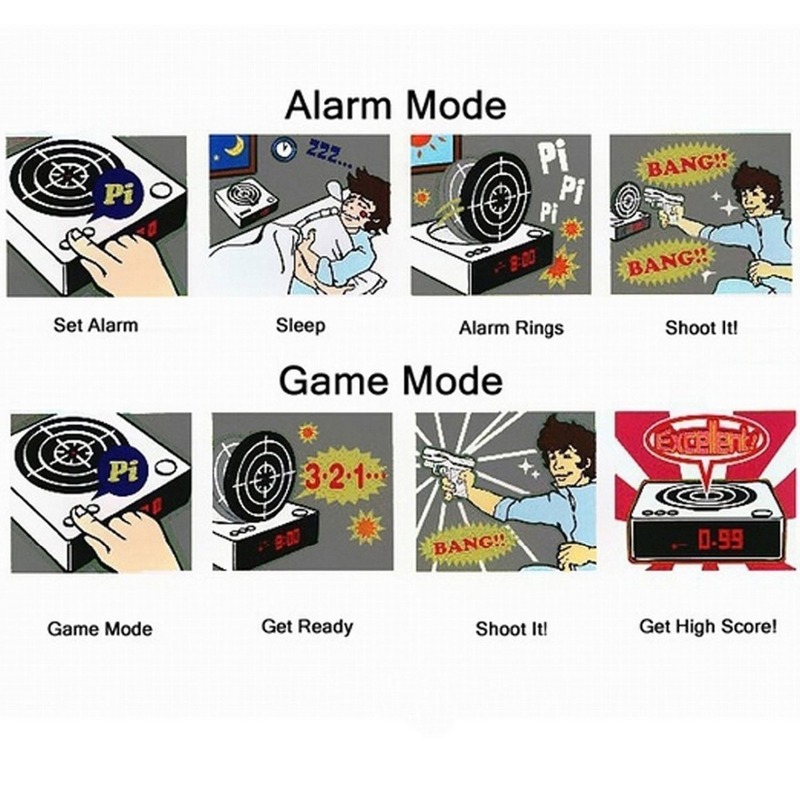 An alarm clock and target range, all in one. Every morning you can wake up to one of three games. When the alarm goes off, the Gun O'Clock target pops up and you have to grab the gun in time to shoot it to turn the clock off. It's a great way to bring you to your senses when the snooze button simply isn't an option.